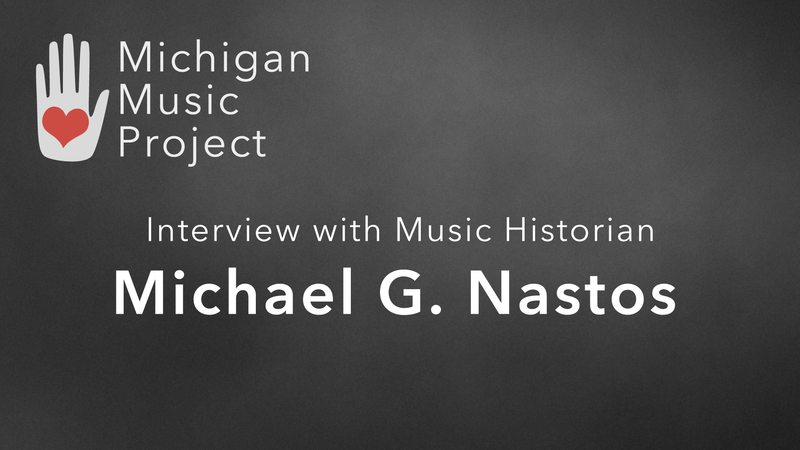 Here is a recent interview that I did with Michigan music historian Michael G. Nastos, who is also a well known D.J. and radio announcer based in Ann Arbor, where he served for some 30 years as a radio host, assistant music director, and librarian at the NPR affiliate WEMU, 89.1 FM. Nastos is also a jazz drummer, Multi-percussionist, and music critic, writing on jazz, blues, and world music for many publications, including the Ann Arbor News, Downbeat, Cadence, Coda, Jazz Forum, Swing Journal, Arts Midwest, Jazz News International, the Detroit Metro Times, and many other publications, including my old company All-Music Guide. He is a founding member of SEMJA (Southeastern Michigan Jazz Association), and active in ISIM (International Society for Improvised Music). This list goes on and on. In this interview, Nastos talks about being part of the Creative Music Studio in Woodstock N.Y., one of the principal birthing places for world music in America, and the place where many of the young modern jazz players came up. Michael G. and I talk about a wide range of topics, including his decades-long career as a drag-race-car announcer, his love of baseball, and of course his interest and history with music of all kinds. Nastos is a well-known music expert, highly-intelligent, and a very articulate and kind person. We even talked about my love of the Pharrell William’s tune “Happy,” and his love for Jimi Hendrix. If you have the time, do give it a listen.